A Drive for Low-Carbon and Climate-Resilient Cities – The People’s Republic of China is aggressively tackling climate change in its ever-growing cities, while improving the lives of its residents. The world is undergoing the largest wave of urban growth in history, with more people living in cities now than in rural areas. This is nowhere more visible than in developing Asia, where new and existing cities and towns are growing with incredible speed. Asian cities are expected to contribute to two-thirds of the world’s urban population growth by 2020. Greenhouse gas (GHG) emissions, especially carbon dioxide, are growing alongside this trend of urbanization. GHG emissions have a significant impact on health, water resources, agriculture, fisheries, and tourism. 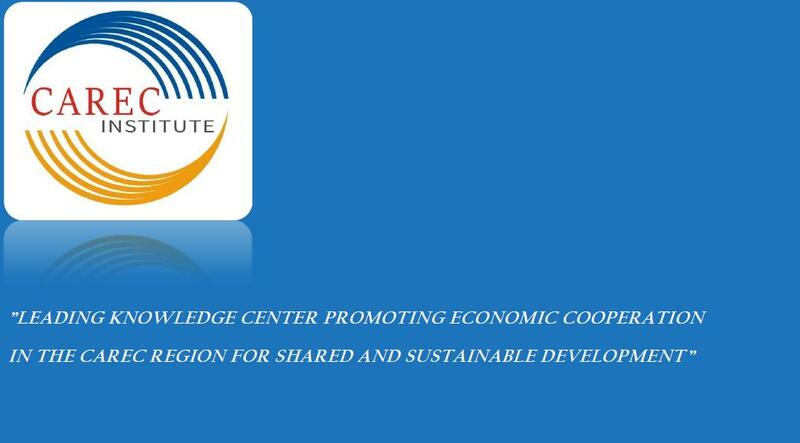 The region is particularly exposed to climate risk due to its geography; and low incomes, poor infrastructure, and insufficient adaptive capacity further exacerbate its climate vulnerability. Rising risk and vulnerability jeopardize the hard-won socioeconomic gains of recent years and continued economic growth. Climate change could cut developing Asia’s gross domestic product by more than 10% by year 2100, if no action is taken. By taking the lead on low-carbon development, cities have the opportunity to turn the wheel around. In addition to reducing GHG emissions, they can engage in an important dialogue about sustainable development, directly address local issues, implement environmental improvement measures, and create green job opportunities. The best solutions to climate change often come from cities, which directly experience its consequences. Sharing good practice examples may inspire other cities in their quest to ensure that innovation and climate proofing go hand in hand with further economic development. Putting forth low-carbon development strategies also allows cities to position themselves as major players in climate change mitigation, and set an example for the development of national emissions reduction policies. The People’s Republic of China (PRC) has sustained spectacular economic growth over the past 4 decades since the introduction of market-based reforms and opening up. Gross domestic product growth has averaged about 9.6%, and gross domestic product per capita has increased by 14% per year between from 1978 to 2017. The PRC’s high rate of economic growth has been coupled with rapid urbanization. The PRC’s urban population reached 58.5% in 2017, and is expected to reach 60% by 2020. Growth and urbanization have led to great improvement in living standards of many new urban residents, but placed pressure on the consumption of energy and natural resources, resulting in serious challenges relating to the environment and climate change. The PRC is ranked as the top emitter of greenhouse gases (GHGs) globally. In large urban centers, this has led to poor air and water quality, affecting the health of the urban population. The cost of pollution damage in the PRC is estimated to be close to 10% of gross domestic product. the PRC’s national commitment to peak out GHG emissions by 2030 under its Nationally Determined Contributions to Climate Change. Under the initiative, cities have successfully implemented effective GHG reduction and environmental improvement measures, while continuing to ensure economic prosperity and improvement of people’s lives. 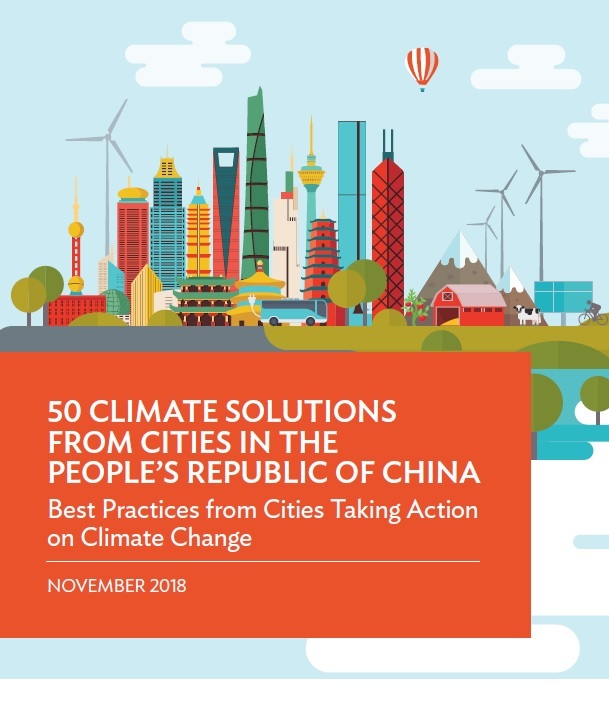 This publication showcases several urban case studies from the PRC that demonstrate innovative approaches to reducing carbon emissions and mitigating the effects of climate change. The Asian Development Bank has supported some of these projects, including renewable energy-based district heating and cooling in Qingdao, wind-powered district heating in Hohhot, an emissions trading scheme in Shanghai, and bus rapid transit in Yichang. Sharing these good practice examples will enable other cities, not only in the PRC but also in many other developing Asian countries that face similar challenges, to build on successes and lessons to develop their own road maps for low-carbon urban development. As this publication shows, urban areas all over the PRC have embraced a wide range of solutions to reduce energy consumption, green and clean their energy supply, transform the concept of waste, promote green and blue spaces, and improve urban mobility. Each of the 50 featured solutions—some are projects sponsored by the Asian Development Bank (ADB)—shows how cities take climate actions and also create valuable co-benefits in terms of positive impacts on citizens’ public health and quality of life, as well as providing economic and additional environmental benefits.